Christmas is still a long way but Ekiti State Governor, Ayo Fayose will provide at least 10,000 indigent children in Ekiti State with Christmas dress made from ankara and other materials during the yuletide season. 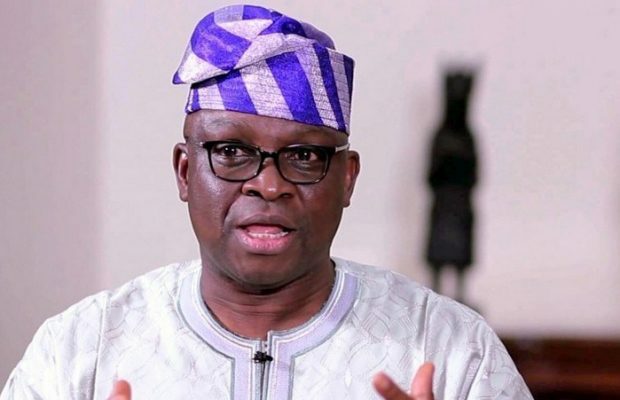 The State Governor, Chief Ayodele Fayose, disclosed this during a meeting with tailors in Ado-Ekiti. In a press release by his Chief Press Secretary, Mr Idowu Adelusi, on Friday, the sewing and distribution of the clothes would take place in designated centres across the 16 local government areas of the state. Moreover, the governor said he would buy 100 sewing machines to complement those to be used by volunteer tailors during the exercise. The 100 sewing machines would later be given out to tailors through a transparent balloting process. Fayose said only children between the ages of one to 10 would benefit from the exercise and that it would be first come first served. On the style to be sewn, the governor said it would be buba and sokoto for males and gowns for females. The Patron of tailors in Ado-Ekiti, Mrs Omodele Famuyibo, lauded the governor for the initiative.